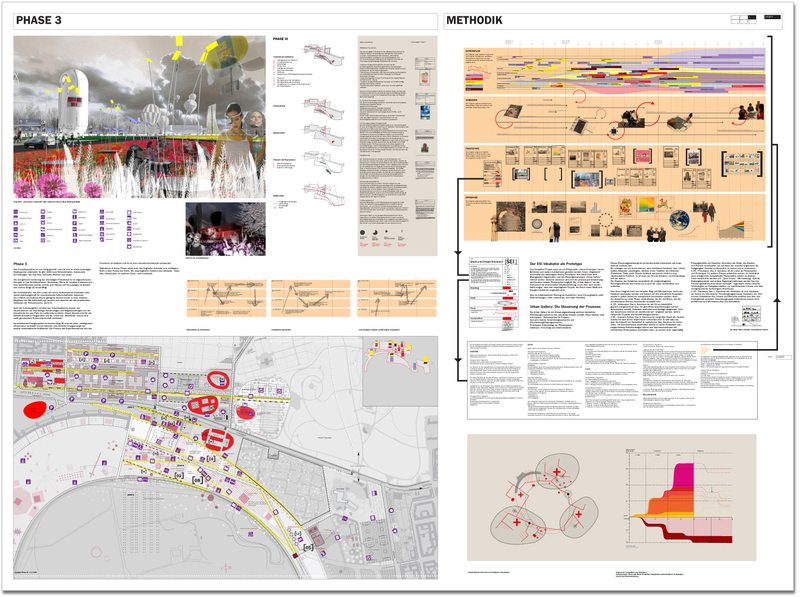 Design of a visual presentation for Chora, London. 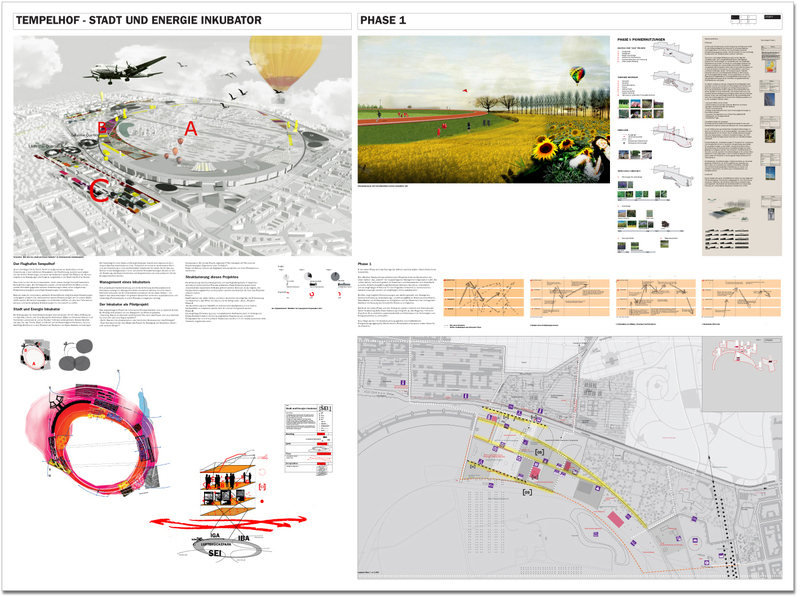 The presentation of a masterplan for the Tempelhof area in Berlin consisted out of three panels (each 1.9 x 1.6 m.). 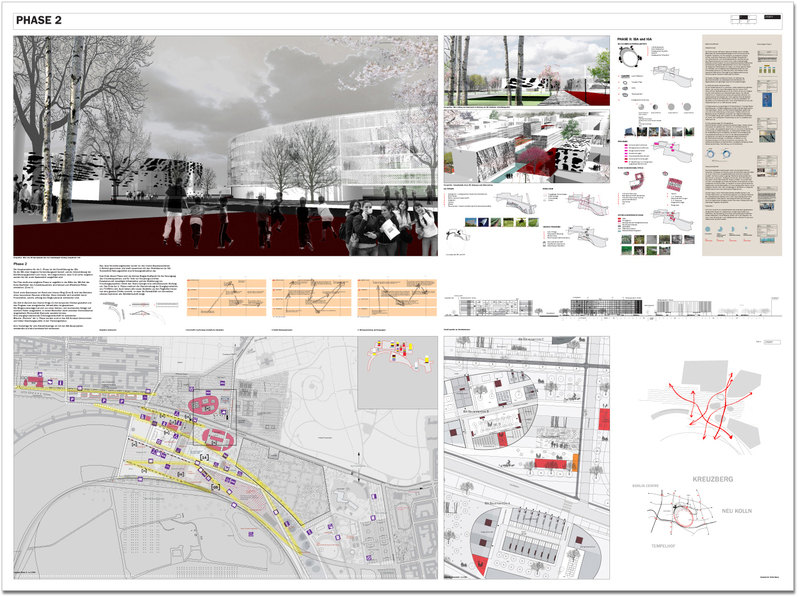 The masterplan itself won a shared first prize (see www.archined.nl). Also see www.chora.org.